At this point I've watched Man of Steel three times for this site (counting my most recent viewing for this article). That's in addition to the couple of times I watched it after the film first came out. At this point I might have watched Man of Steel more than any of the films in the Marvel Cinematic UniverseWhen it first began in 2008 with a little film called Iron Man no one suspected the empire that would follow. Superhero movies in the past, especially those not featuring either Batman or Superman, were usually terrible. And yet, Iron Man would lead to a long series of successful films, launching the most successful cinema brand in history: the Marvel Cinematic Universe. (I might have watched Iron Man a time or two more, but I think it's a push at this point). That surprises me because Superman isn't even my favorite character in the DC Universe. Superman is a solid character, make no mistake. I'm not one of those people that laments Superman, hating him for being a "boy scout". He totally is a boy scout, but that's why the character works. When he's written right, Superman is an ideal, a guardian from the sky who also acts as our best self. He's there to show us there's a better way through the world than all the violence, chaos, and death. This is something the CW Supergirl series knows as that show often holds up that ideal as one of the best strengths of the Girl of Steel. It's also one of the things Man of Steel lacks. The movie starts on Krypton right before the planet is about to explode. This is a core part of Superman's mythos, the baby from a dying planet sent to Earth by his parents Jor-El (Russell Crowe) and Lara Lor-Van (Ayelet Zurer). 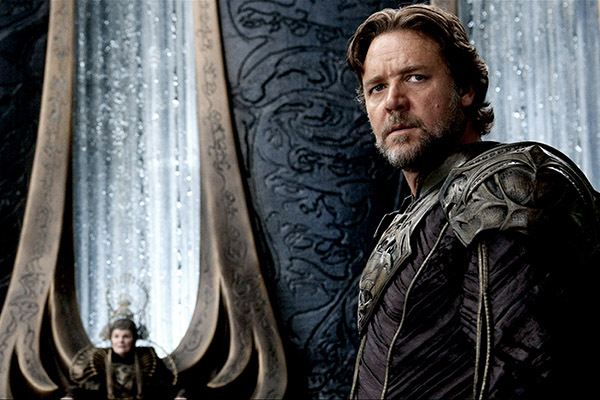 To ensure the continuation of Krypton's culture through their son, Kal-El, Jor-El steals the codex, the genetic recording of all of Krypton's potential future children (because everyone on Krypton is a test-tube baby, other than Kal-El who was made the "natural" way). The codex is infused into Kal-El's cells (for comic book reasons) and the baby is shipped off. 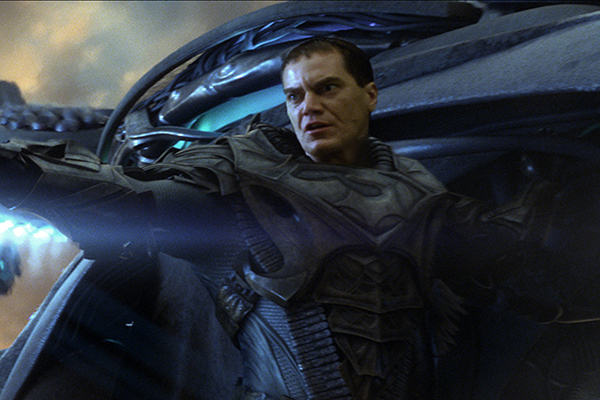 Although a set of separatists, lead by General Zod (Michael Shannon), attempt to stop the ship from leaving Krypton, their attempts failed. Since they'd already started a coup (that failed), Zod and his team are them imprisoned in the Phantom Zone (a timeless, alternate reality). And then Krypton explodes. We then pick up with Clark (Henry Cavill) years later as he's drifting through life, looking for answers to who he really is. As we learn in flashbacks throughout the movie, Clark has already been told by his adoptive parents Johnathan (Kevin Costner) and Martha (Diane Lane) that he's adopted. Of course, he also has super powers because his alien body absorbs the light from the yellow sun (Krypton's star was red) and can use this radiation to do incredible things. 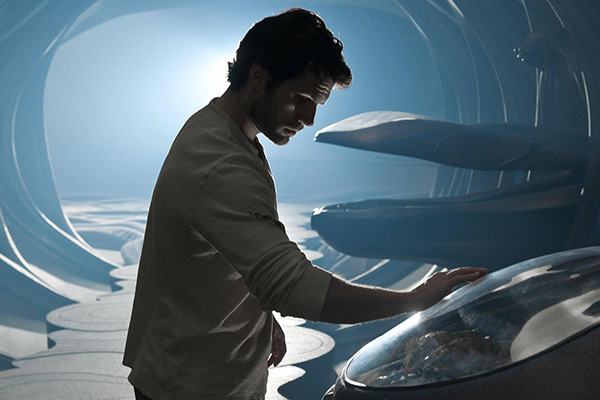 Once Clark finds an ancient, alien ship -- a Kryptonian scout ship that crashed on Earth millennia before -- the events of the movie really take of. The scout ship puts out a distress beacon, and suddenly General Zod and his cronies take their prison ship and bring it to Earth with an eye towards taking over the planet. This then leads Clark to reveal his existence to the world (as Superman, a moniker the media give him) and take on Zod and his people before they can dominate (and terraform) the Earth to make a New Krypton. Suffice it to say there's a lot to unpack in Man of Steel. It honestly would have been smart for DC to split this film in two, spend more time focusing on Clark Kent's early life and time becoming Superman before, in a second film, dumping General Zod on us and really following that whole world-takeover plan. The reason I say this is because the film really does rush through a lot of plot in the back half, putting all the focus on Zod and the evil Kryptonians. The movie makes it clear that they want to turn Earth into Krypton. They have a machine on their ship to handle this process, but it's all in service of the codex; once the planet is changed, they'll start breeding a whole new crop of Kryptonians to enjoy their new home world. Of course, this is bad for Earth since the whole planet will have been wiped clear of humans in the process. Obviously, this is something Superman has to stop. While we get a clear indication of what Zod wants, what his goal is and what motivates him, the film doesn't do anywhere near as good a job with Kal-El/Clark/Superman. As we see in the flashbacks, Clark's dad Johnathan wanted him to hide who he was until he was ready to reveal his identity. The fear was that once the government knew about him they'd do everything they could to capture and study the alien child. Clark still ends up helping people from time to time, but it's always in secret, on the down-low. He's raised to hide who he is but that leaves him little time to figure out who he truly is. The movie wants to really play up Clark's internal struggle over whether or not to be a hero. It doesn't really give him a lot of time to think it over once Zod shows up. Maybe writer David S. Goyer and director Zack Snyder thought the film payed due diligence to the drama of the situation, but watching it now there's hardly a choice for Clark to make at all. Choose to defend the humans or side with a bunch of alien pricks he doesn't know. What kind of choice is that, really? Of course, this is Superman. He always sides with the little guy, always fights to protect people. He's an ideal, but the film never really understand that. The movie really wants to take Superman and apply the Batman Begins template to him. Superman isn't Batman, though; hell, he's basically the diametric opposite of Batman, and the two heroes serve to illuminate two different aspects of law, order, and justice. If you try to make Superman into Batman, the core of his character falls apart. 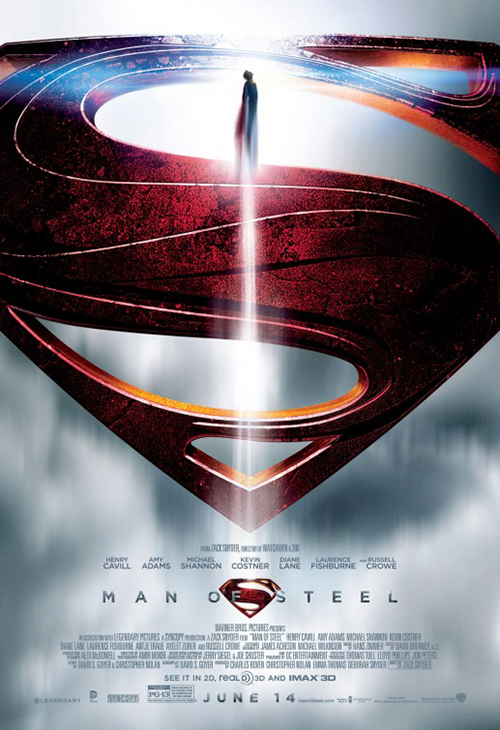 That becomes clearly obvious in the back-half of the movie when the action picks up and Superman, and the Kryptonians, cut a swatch of destruction across Smallville (Clark's home town in Kansas) and Metropolis (the big city where Clark's love interest, reporter Lois Lane, played by Amy Adams) resides. In any normal Superman tale, Clark would go out of his way to avoid putting people in danger. He'd fight (because superhero stories need fisticuffs), but he'd always try to minimize collateral damage. Not in Man of Steel. I've been an apologist for this movie in the past, pointing out that Superman in this film is still starting out, still new, and that much of the destruction in the film is the fault of the Kryptonians. That is all still true, but the simply fact is that even being a party to the damage lessens the luster of Superman's ideal. He let it happen in a way Superman never should have. This goes back to my earlier point, though, that Man of Steel really should have been two films. We need one where Superman learns who his is, figures out his powers, and becomes an ideal. He needs to become that boy scout so that when, in the next film, Zod and his people arrive, they stand as a diametric opposition to Clark. 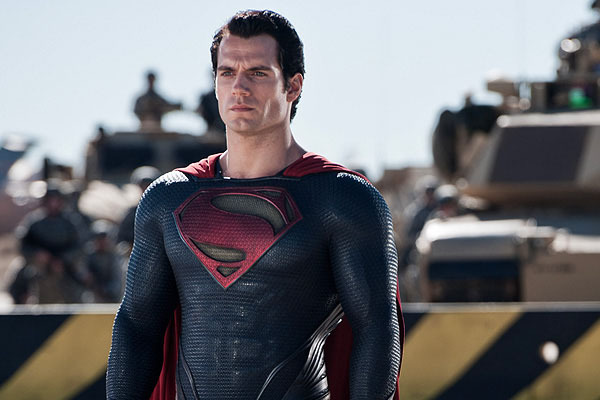 He needs to be everything they're not, but because the movie wants to paint him as darker, grittier, and more prone to collateral damage, the simple question has to be asked: are we really better off with Superman? Not to get ahead of ourselves (since we'll be reviewing this movie next), but that's something I feel Batman v Superman got right (one of the only things, mind you). Superman causes so much destruction (directly and indirectly) that of course Batman (or someone like him) would start questioning if having this god-like being around is such a good thing. Man of Steel never makes the case for Superman. It treats him like an alien, and then a god, but never like an ideal, like a hero. It's really good at selling the fallibility of Supes, but not the intrinsic good we need from him. Of course, that causes the film to fall apart pretty hard once you sit back and think about what you just watched. 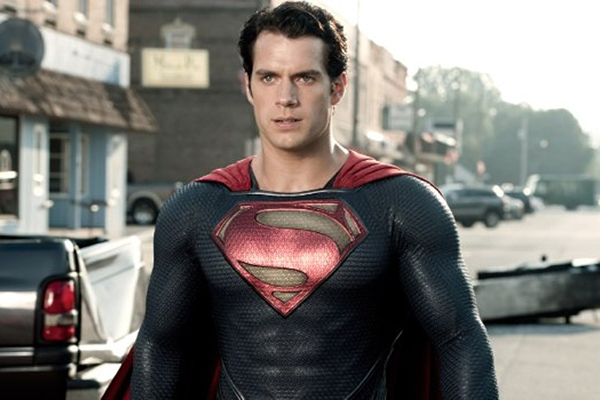 During the watching, though, I will admit that Man of Steel can be pretty fun. The actors are all pretty good in the film and sell the material they're given. What really works, though, is the action. Say what you will about Zack Snyder (and we have on our podcast) -- how he doesn't really handle emotional beats well, that he's never seen a slow-mo he couldn't overuse -- but the man does have an eye for action. There are plenty of great action beats in the movies that help to paper-over many of the holes in the film. The spectacle of the film is solid even if the story isn't. That really is the problem, though. The film wants to be smart, to try and color its core character with drama and angst, to handle him as something other than the boy scout, but it never manages to be smart enough to handle these weighty themes. Because it has to gloss through a lot of content quickly (instead of doing it over two movies or so), we have to rush past all the charac5ter drama of Superman. His decisions are shallow, and then it's rush, rush, rush to the big action. The movie isn't smart enough to deliver all this content well, but it's also not dumb enough to be enjoyable as pure, popcorn spectacle. I enjoy Man of Steel for what it is, but I can easily see why people hate the movie. Hell, I hated it the first time I watched it, and it was only after a couple of additional viewings (at the behest of some of my friends) that I started to enjoy the film. You have to know what you're getting when you go in to Man of Steel -- a dumb popcorn movie as aspirations towards grandeur -- and if you can accept that, there are joys to be had with the movie. As a Superman film, though, the movie doesn't really succeed. As the start of the DC Extended UniverseStarted as DC Comics' answer to the MCU, the early films in the franchise stumbled out of the gates, often mired in grim-dark storytelling and the rushed need to get this franchise started. Eventually, though, the films began to even out, becoming better as they went along. Still, this franchise has a long way to go before it's true completion for Marvel's universe. it's a shaky foundation that the next couple of movies struggled with. Arguably the flaws of this movie would continue to resonate through the series for some time. It's no wonder, then, that DC is now looking at avoiding a Man of Steel 2 and, instead, wants to craft a Supergirl film in its wake. Right now she's a better, less tainted character all around.